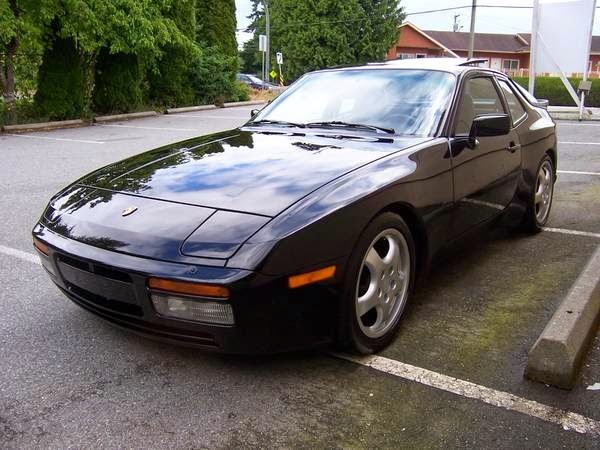 Buy Classic Volks – Porsche 944 for sale in Vancouver South, Canada. 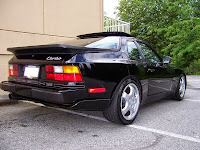 It’s a meticulously maintained and very well documented 1986 Porsche 944 Turbo (aka 951). Finished in stunning black over black leather, this will be amongst the finest examples of the marquee you will find. Of course, they only came in a 5 speed. The last year without ABS and airbags, so as raw, pure and light as they come. Currently the car sits with 149500 miles. It is a Pacific Northwest car (from Everett, WA) – having been imported into BC in 1992. There has been 4 owners in total, and the car has a binder full of service and maintenance records dating back to 1992 from the second owner onwards. All original owners manuals, 2 factory keys and factory tools are intact. The paint is in excellent condition, as is the interior. 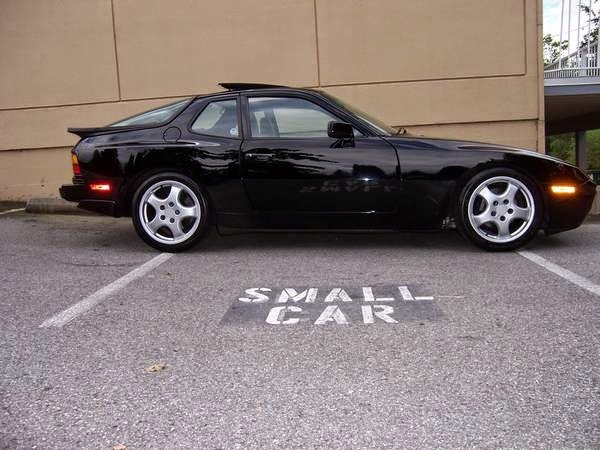 This is my 6th in the Porsche 944 series (my 2nd 951) – and I can honestly say, the best example of this car I’ve ever owned. This is not a heavily optioned – or modified car. 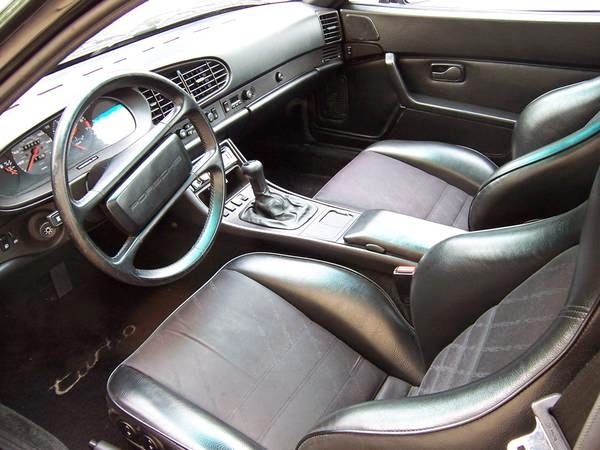 It does however have the rare and desirable part leather/part cloth Porsche ‘script’ sport seats. In flawless condition, and both powered. Other than that, everything works exactly as it should, but there are a few very minor age-related quirks easily repairable while you enjoy it. Absolutely nothing that affects drivability. The only performance mod I know of is an AutoThority performance chip/programmer. Apparently it allows full 2 bar boost (stock is said to only allow 1.75 bar) Online data shows it brings stock power up from 220 hp to around 250-260, which is pretty stout in a +/- 3000 pound car. Even to this day, these are quick cars! 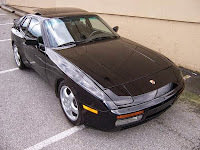 In the 80’s, these were amongst the quickest and fastest cars you could buy, and literally one of the best handling. Even today, in many race circuits these compete exceedingly well. However, the car has not been tracked. The wheels have been upgraded to a replica 17″ ‘Cup 1’ wheels (made my Mille Miglia in Italy) They are staggered 17 X 8 front/17 X 9.5 rear. Wrapped in BFG rubber with a decent amount of treadlife remaining. As it is a daily driver, I never applied for collector plates, but the previous owner did have them on the car when I bought it, so it does qualify. Being a 2.5L 4 cylinder, they are very reasonable on fuel, so long as you’re not ‘into boost’ every day! The tanks are huge – 80 liters. I consistently get 325-350 miles to a city tank, or around 600km. The car idles, accelerates and drives absolutely flawlessly, and has never let me down. 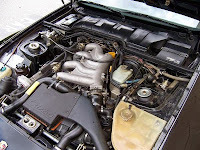 The 944 motor is a very stout and extremely reliable one and the motors are widely known to be ‘bulletproof’ as far as long term reliability goes. Service and maintenance is mandatory, and this car has a lifetime of records indicating it has been very well looked after. -New V-belt (serpentine belt) replaced in Feb.
Service is up to date, and as it sits, there are no issues or major repairs to be done. Again, it is 28 years old, so there are a few things that can be tended to, but nothing imperative. I can discuss it with you upon a viewing. The requisite (imperative!) timing belt/water pump service was done at 135000 miles. This is something that has to be done every 50K, as it is an interference engine. If you are seriously looking for a very well kept, documented and gorgeous example of this appreciating car, you will not be disappointed. 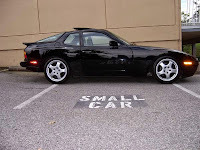 The car has not been tracked and the previous 2 owners were both members of the PCA west club. I am fastidious about my cars and looked for a good 2 years for either this or a 968. When I saw and drove it, I knew this was the car. 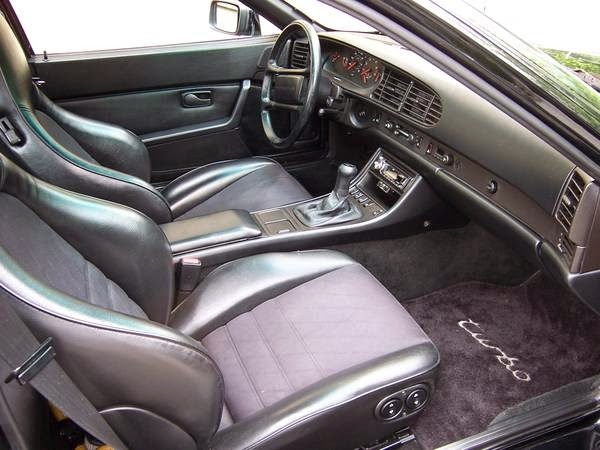 Inspection was done after purchase as I knew enough from previous 944 ownership to discern this car was very sound…and of course, 20+ years of records didn’t hurt! My asking price is $10000. And no – it’s not a $100000 Porsche so I won’t demand you have their money in hand if you opt to test-drive it…but please, serious buyers only. I am located in south Vancouver. 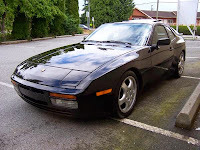 This entry was posted in 1984, 944, Canada, Closed, Porsche and tagged Porsche 944 on July 27, 2014 by buyclass.